Soft case for a single racing wheel, made of 600 Denier Cordura, high-density foam padding, water resistant, shoulder strap for easy handling, inside pocket for skewers. Great for storing racing wheels or when travelling in a vehicle. 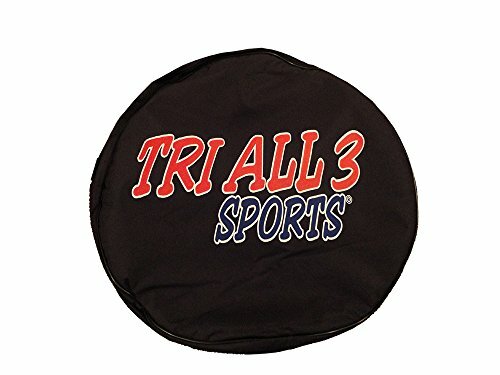 If you have any questions about this product by Tri All 3 Sports, contact us by completing and submitting the form below. If you are looking for a specif part number, please include it with your message.